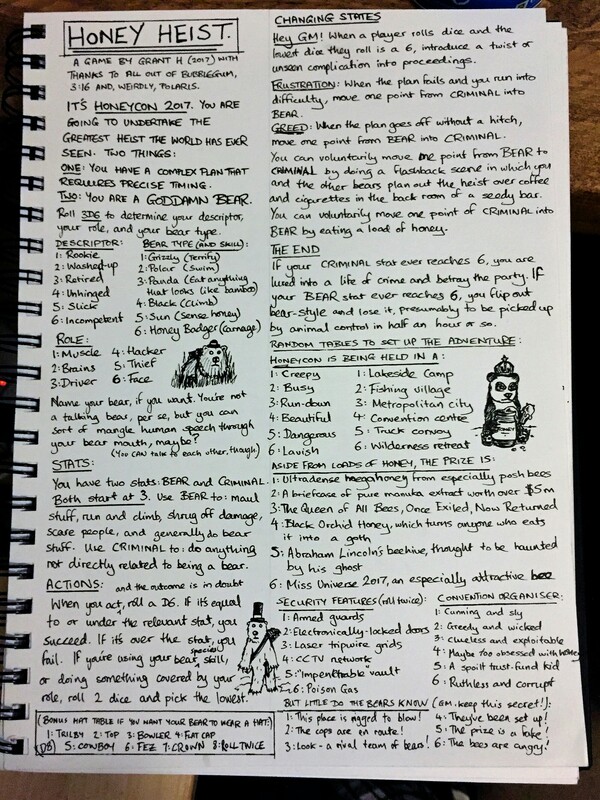 Grant Hewitt, who runs a Patreon here, has posted an awesome one-page RPG called Honey Heist. You play a criminal bear, and you have two stats: CRIMINAL and BEAR. Hewitt describes it as “A roleplaying game in which you are a bear with a plan, but unfortunately you are also a goddamn bear, so let’s see how that goes.” He posts a one-page RPG each month, and co-wote the most recent edition of the Paranoia RPG. Check out the free RPG (below) and then, maybe, check out his Patreon.